When I met Sakura, my heart opened a little bit. Last June I needed to find a new roommate. I turned to Craigslist. Shortly after I put up a post, I received an e-mail from a foreign-looking e-mail address. 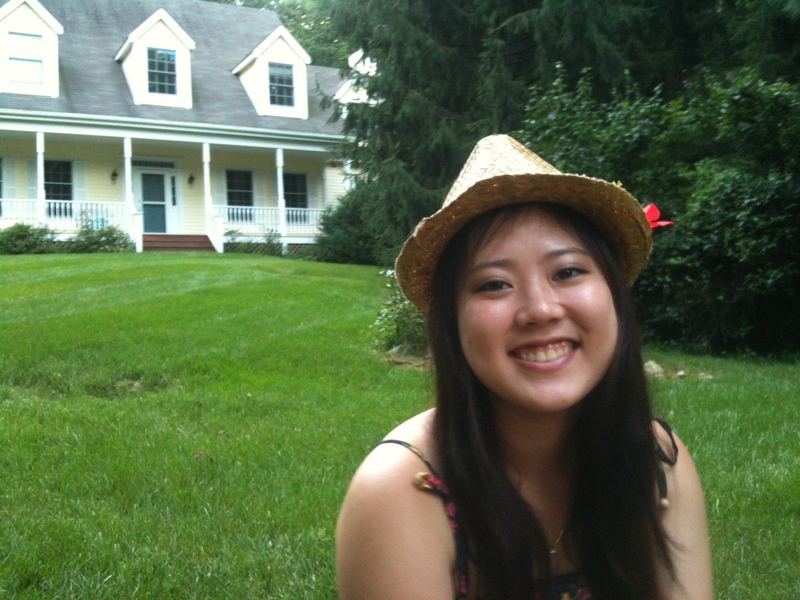 The writer stated that she was a Japanese exchange student studying English who hoped to find a roommate who would help her learn about American culture. 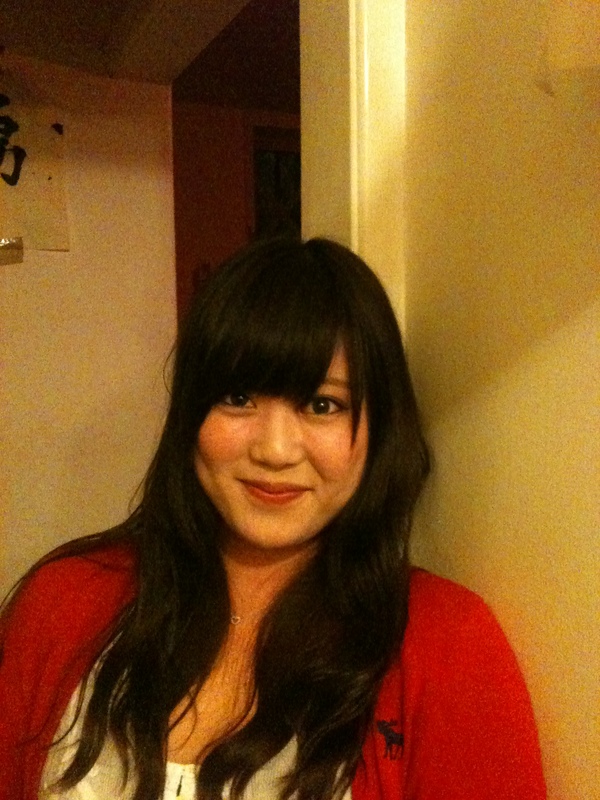 She said that she currently lived with a host family but had to leave because they had a new student coming and that she hoped to find a “friendly person” to speak English with. A few days later, Sakura dropped by to see the room. 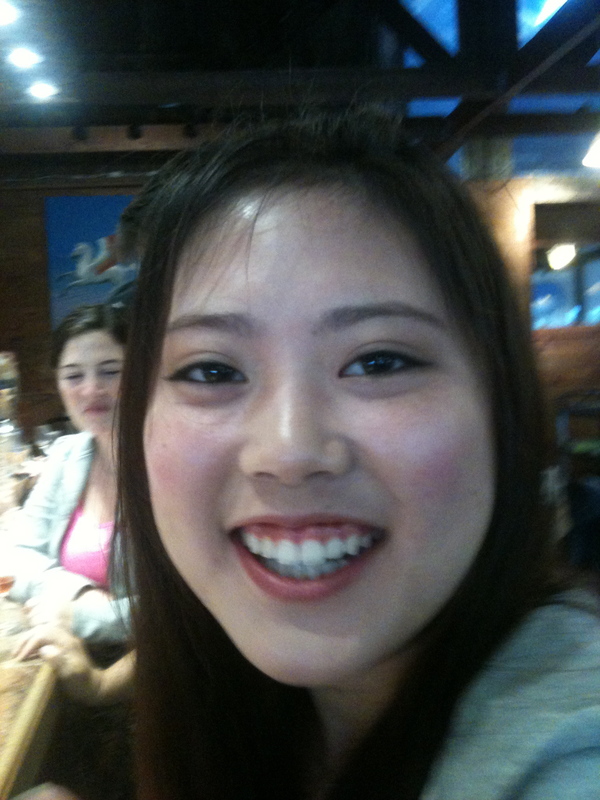 She had only been in the U.S. for two months at the time, so it was a bit difficult for her to communicate. She asked if I would cook dinner with her and I said yes. I thought that was the sweetest thing. I could tell we would get along because I could tell she was a good person from the moment we met. Hello, my name is Beth. I like ice cream. How are you? I am well. Do you like ice cream? Konnichiwa. Watashiwa Beth desu. Ogenkidesuka? Genkides. Ice sukidesuka? Ice sukides. 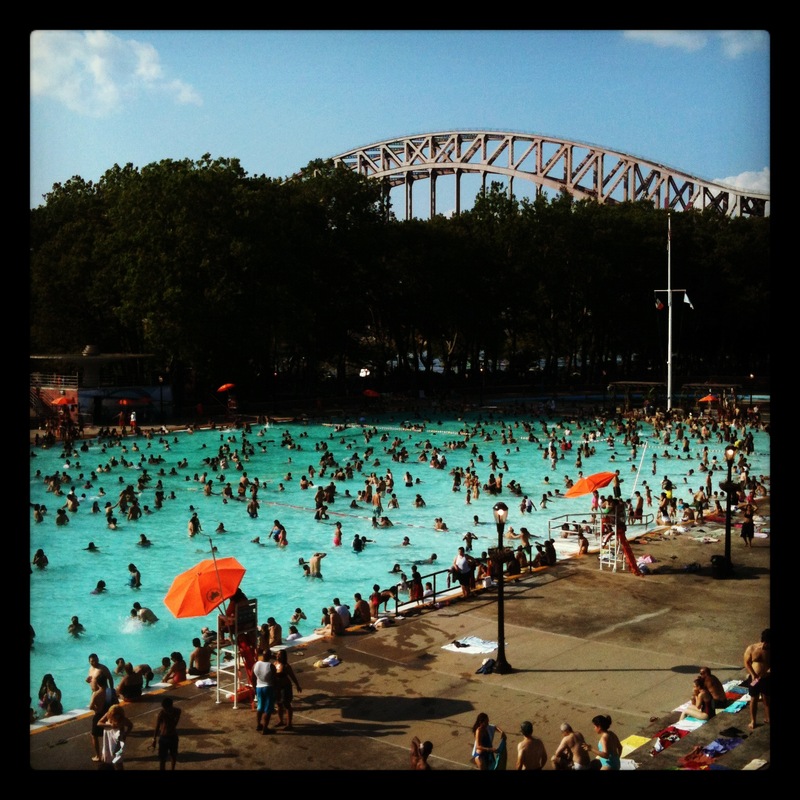 We went swimming at the Astoria Park Pool together often. 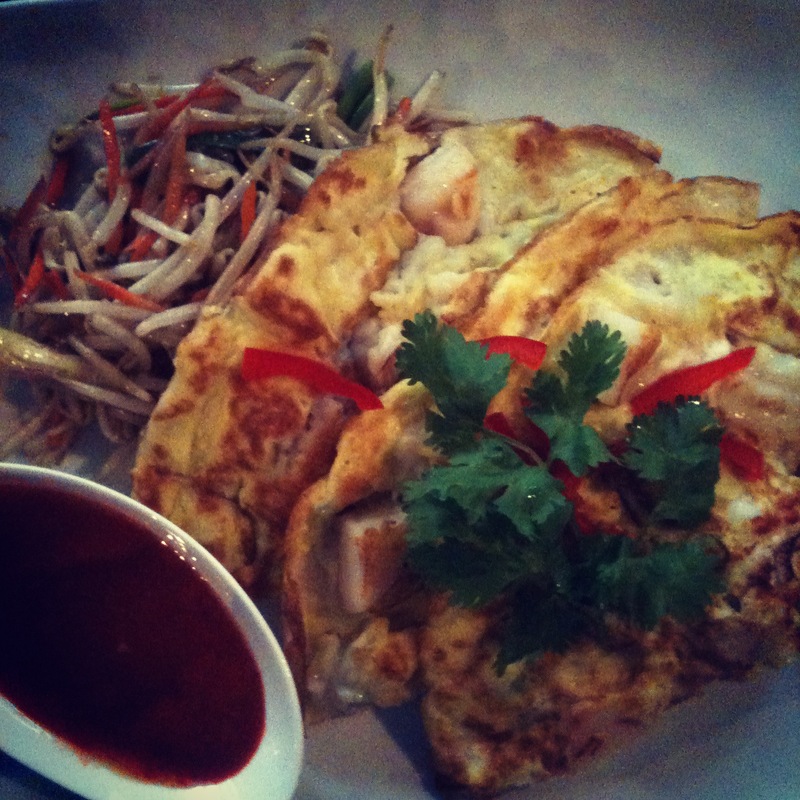 We ate Thai brunch at Leng Thai. She even came to Bikram Yoga with me– more than once. 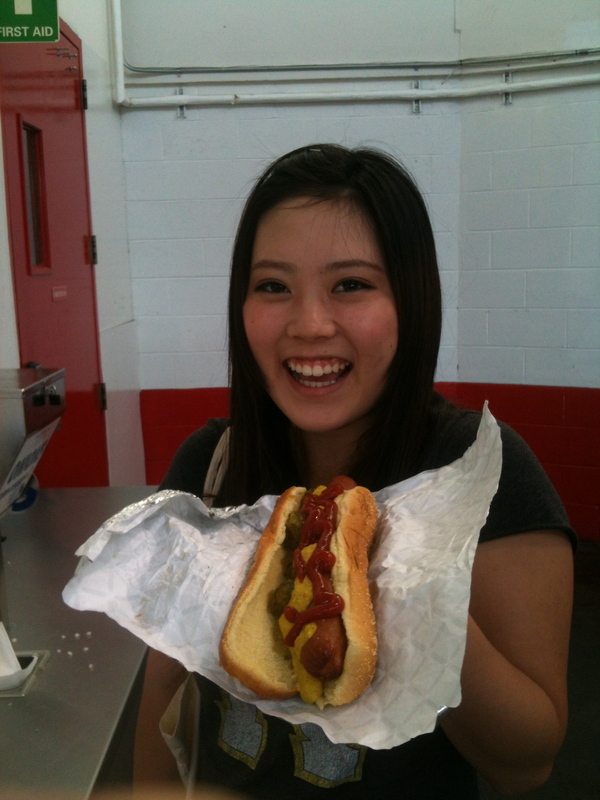 We ate hot dogs at Costco together. I felt that I could open up to her, maybe because she was younger than me, maybe because I thought she wouldn’t understand all of the things I said, or just because we spent so much time together. She is a great listener. And I loved taking her on adventures. I brought her to Long Island with my friends to taste wines and visit a water-logged beach. I brought her to Connecticut, to a birthday party for the neighbors I have known my whole life. She saw my old house in Connecticut and that meant a lot to me. 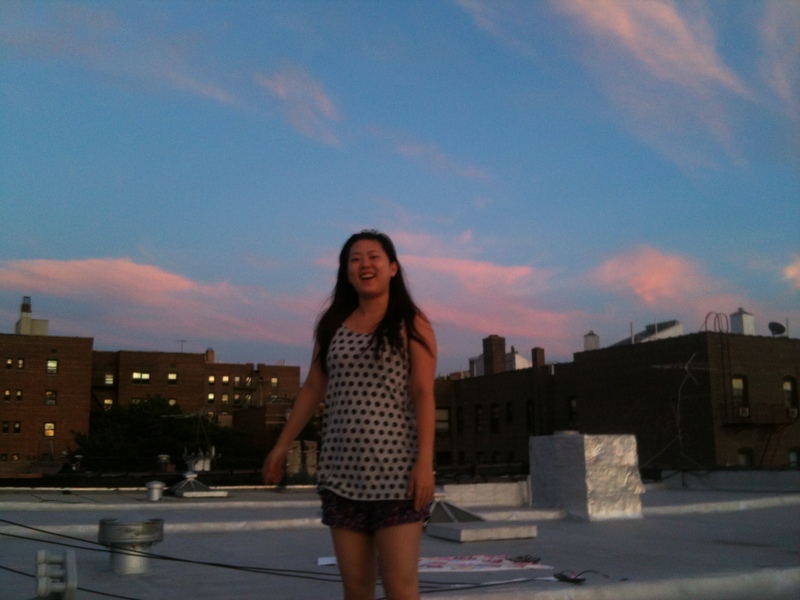 When I heard of a Japanese Street Festival in Astoria, I immediately wanted to take her. 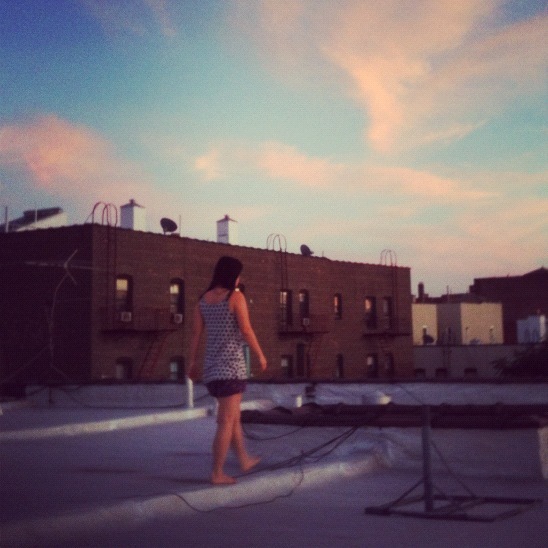 It was about a fifteen-minute walk over to Steinway from home and just as we made it there, it started to rain. But, to my dismay, even the drizzle did not deter the long lines that snaked around booths of Japanese “street food” purveyors. From what I could tell, these vendors were hawking one of two products: either ramen or okonomiyaki. There was a ramen-judging festival, which I would have been thrilled to participate in except for the fact that you had to pay. I guess I’m not in Vermont anymore, and I know this, but for some reason I still instinctively expect that I should be offered countless free samples in exchange for my excellent judging abilities, as I was at the Middlebury Chili Festival in February 2010. 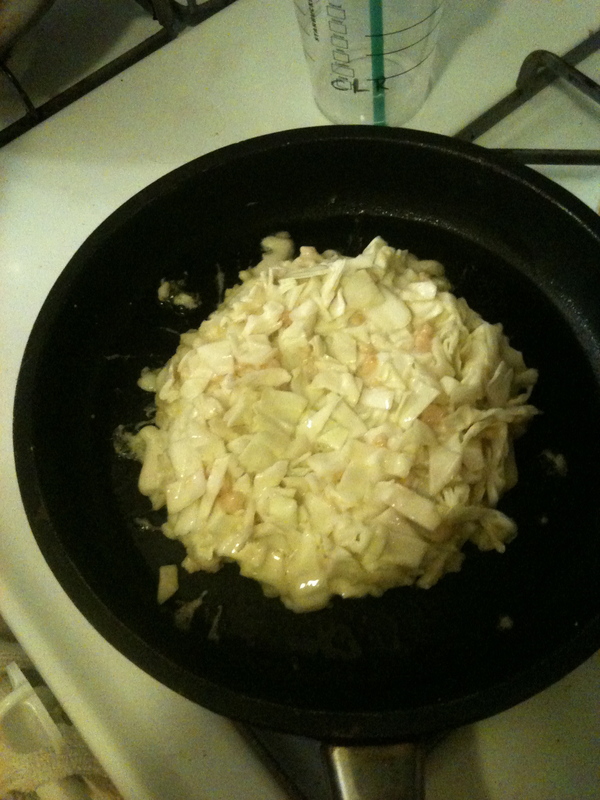 Alternately, there was okonomiyaki. A word that has so many syllables, making it both difficult and delightful to say. Pronunciation: Oh-Koh-Noh-Mee-Yah-KEE! The lines for okonomiyaki were almost as long as the trip from New York to Japan. But then we found one okonomiyaki truck, offering either pork or seafood okonomiyaki, and we decided to go for it. We huddled under the truck’s awning as shelter from the rain, and one of the decidedly un-Japanese Okonomiyaki chefs chided us, “$5 awning fee.” Did you know that everyone in New York is just trying to make a buck? And the counterpoint to that: You can always make a buck, if you really want to, in New York City. 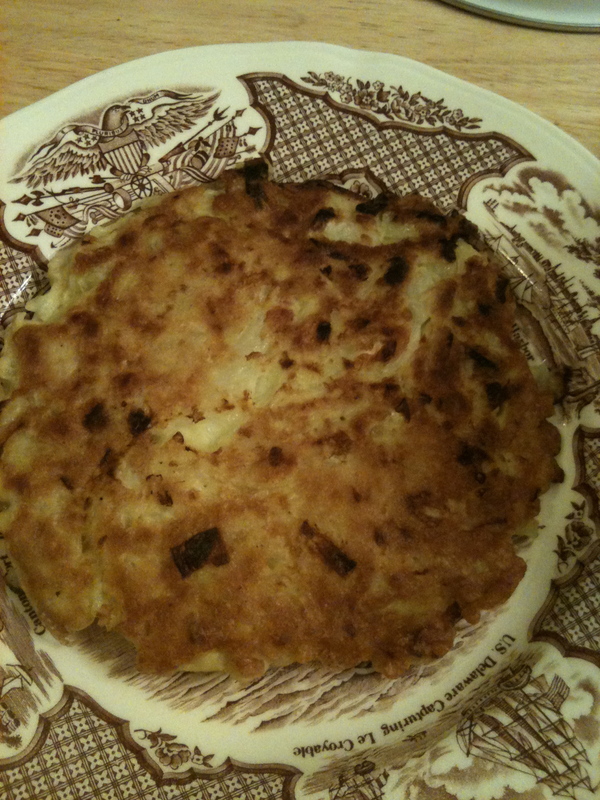 Okonomiyaki is a pancake. Sometimes it has pork. Sometimes it has seafood. It usually has cabbage. It always has a special kind of flour that gives it a chewy, gooey consistency, and it always has eggs. Sakura taught me how to make it. 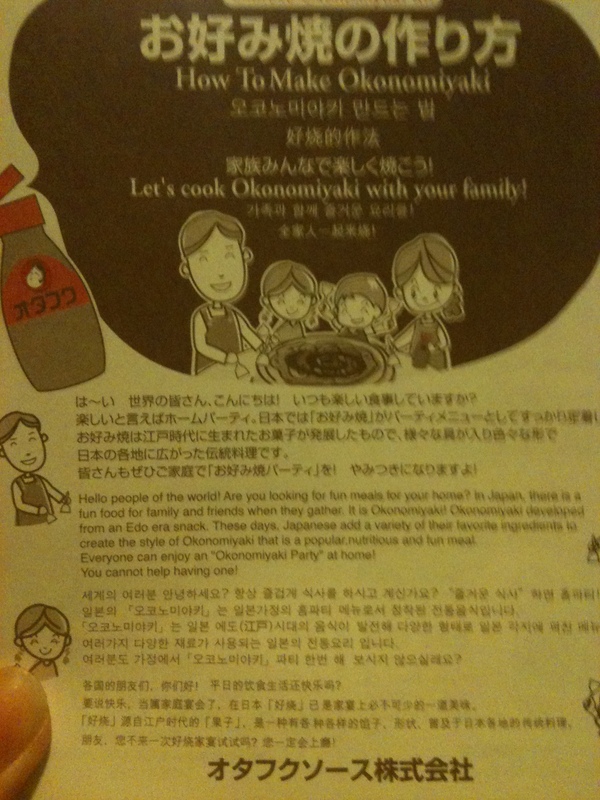 Here are some photos of our Japanese cooking lesson. 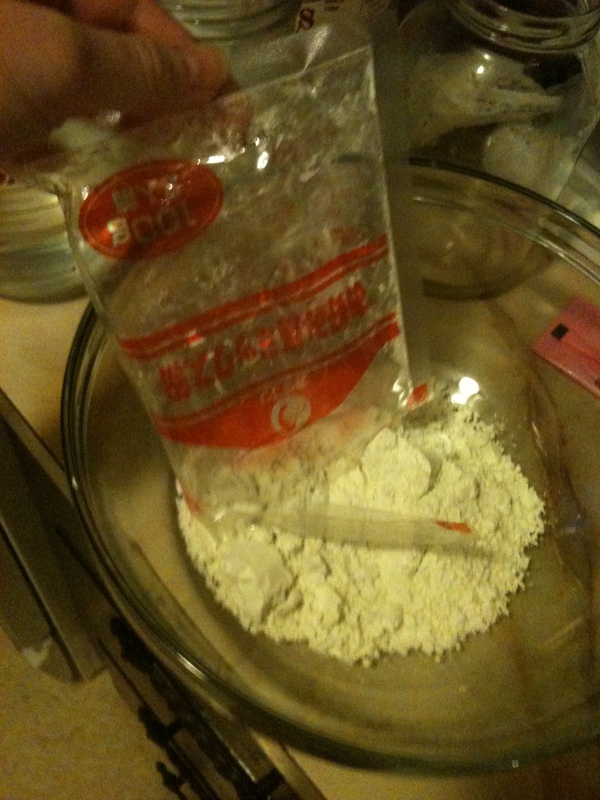 First you put the Okonomiyaki Mixpowder into a bowl. 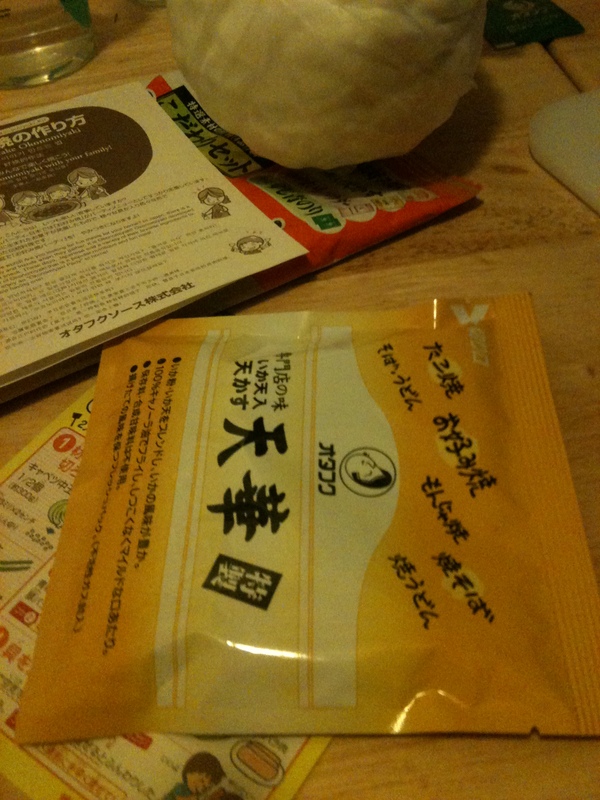 These are tenkasu, little crunchies that you add to the bowl. Add them and then add 2 eggs. I thought the instructions on the package were adorable. 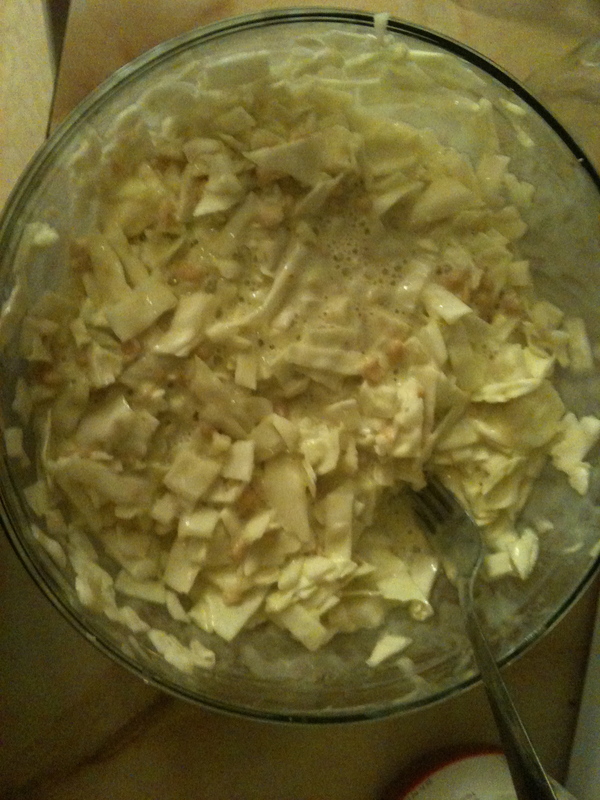 You chop up half a head of green cabbage and add it to the mix. 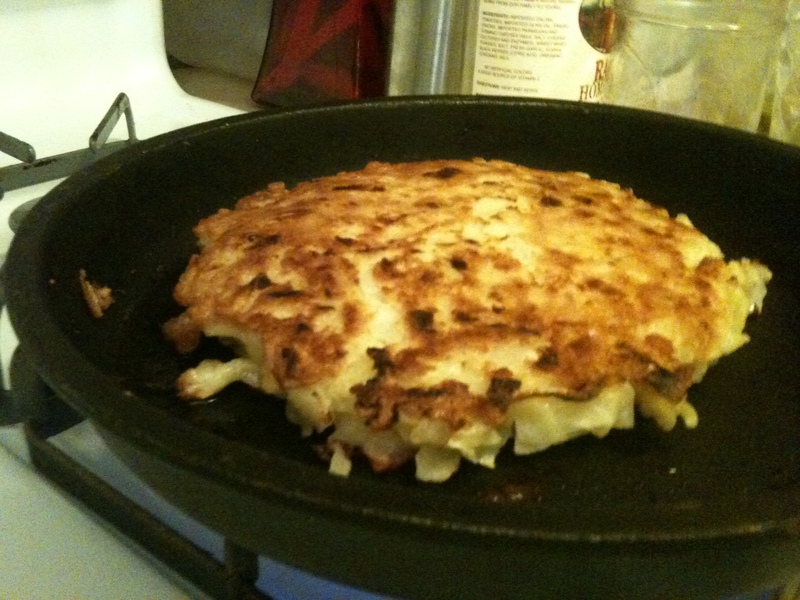 Then you pour half of the batter into a hot skillet so that it forms a pancake shape. 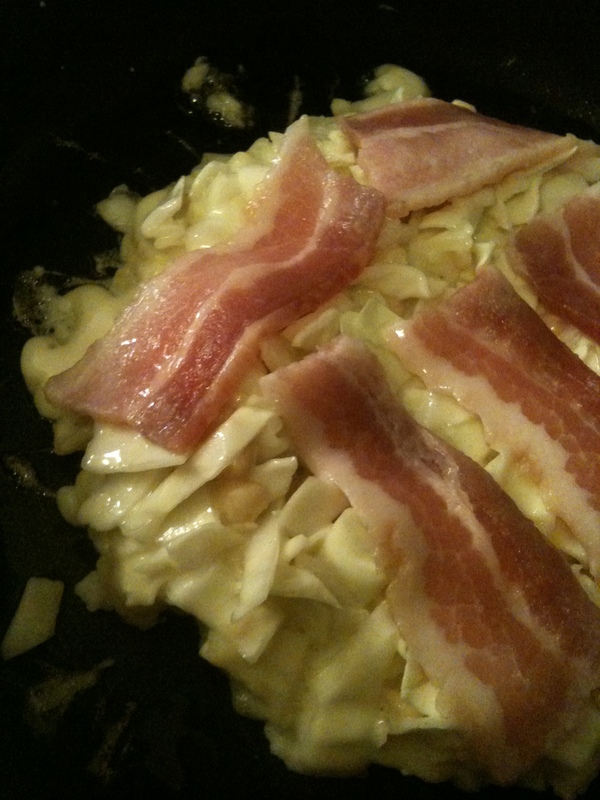 Place 3 pieces of bacon on top of the pancake. 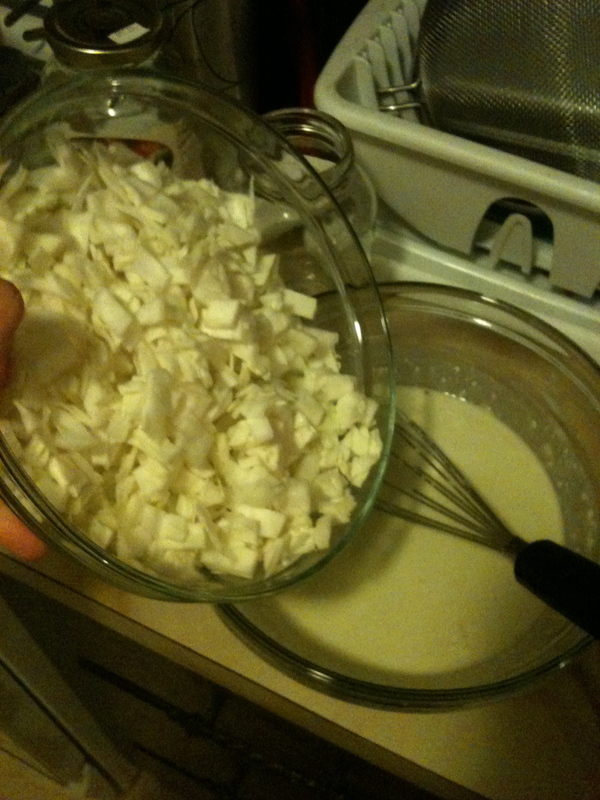 Then, flip the pancake over. This is the tricky part. 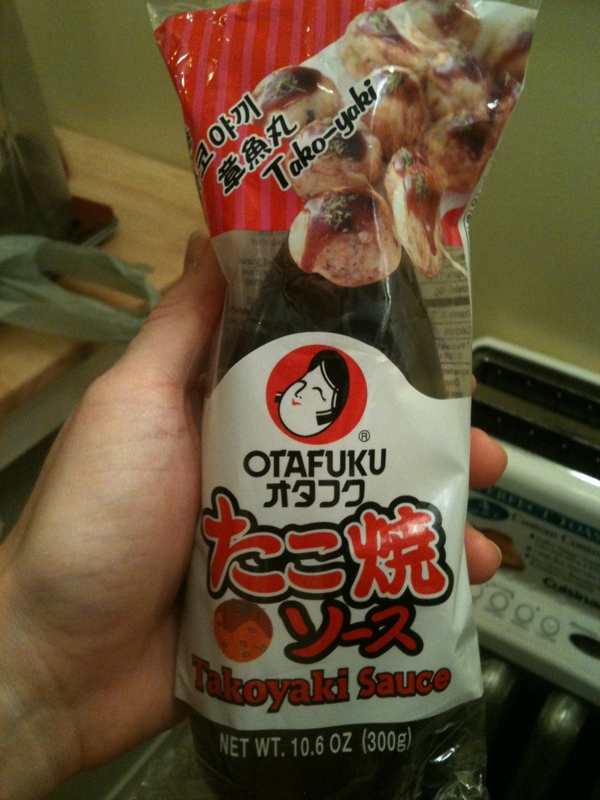 And drizzle it with your special Otafuku sauce. We bought all of the supplies at Family Market in Astoria on Broadway and 30th Street. This is one of my favorite places in Astoria. It is a tiny store filled with Japanese food products. It has a miniscule refrigerated section where you can buy mochi, tofu, and vegetables, a slightly larger freezer section with some yummy prepared foods like Shumai, Korean beef, and Kimchi, and lots of dry foods like Ramen mixes, bags of rice, and Miso soup mix. 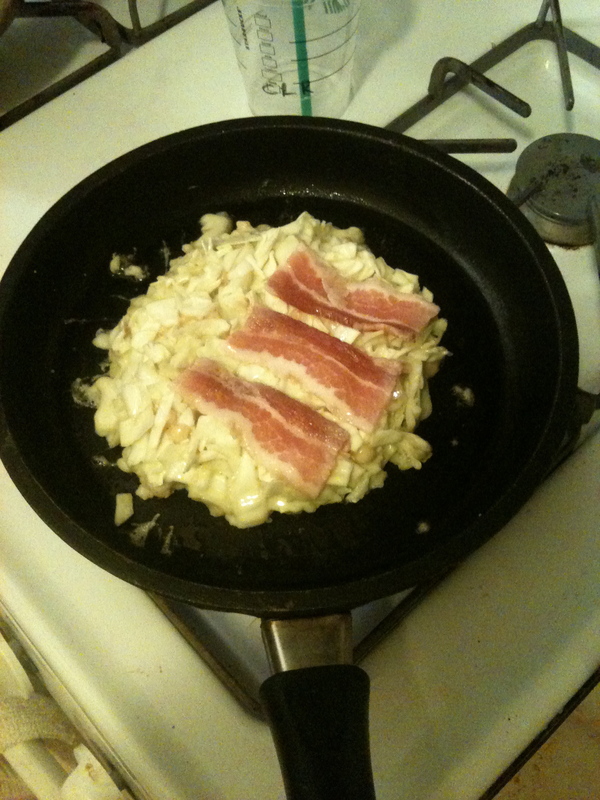 With the Okonomiyaki kit that we bought, you only need to add eggs, cabbage and bacon to create your own pancake. Loved this story!! Thank you for sharing, Beth. I stumbled upon this via my LinkedIn updates and it was a great accompaniment to my (late) dinner this evening. I hope you continue to enjoy your exploration of all things Japanese in NYC (and maybe even in Japan some day! ).